The company has recently pumped up their customer service by offering additional user-friendly material to help ease the minds of tech shy consumers. Gadgets like portable chargers are the hot item this year so the company is reportedly ramping up with easy to use resources. 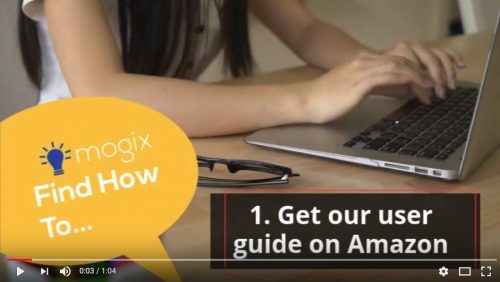 Los Angeles, California, United States - May 2, 2018 /MarketersMedia/ — Mogix Accessories has announced that its portable phone charger user guide and a new video are now available to Amazon customers. Known as the best portable charger for festival goers, campers and those who love to spend time outdoors, it is now backed by even greater brand features. The company wanted to make certain its portable battery charger customers were consistently receiving the full experience from their purchases. As a result, it created a complete user guide and cell phone portable charger video to show people that they have more than just a backup power supply in their hands. The guide shows just what this portable charger for iPhone and Android smartphones has to offer. This type of added support can go a long way to helping shoppers enjoy their products. Knowing just how to use the battery pack, how to recharge it and how to charge something else with it is important. That said, knowing the various ways that it can be used in everyday life is an even greater advantage. It’s all well and good to own one, but if it’s in a desk drawer while the owner is out camping, it isn’t doing much for his or her iPhone battery life. She went on to explain more about this model being a 5,000mAh capacity with a fast charging 2.5A USB port and with Amazon.com customers absolutely loving the slim size, light weight and high battery capacity, they have received well over 200 customer ratings, the Mogix portable phone charger boasts a 4.5 star rating. For example, Amazon customer William W. said “I must say I love this battery. It keeps me running all day. It is very amazing,” With his five-high star rating.